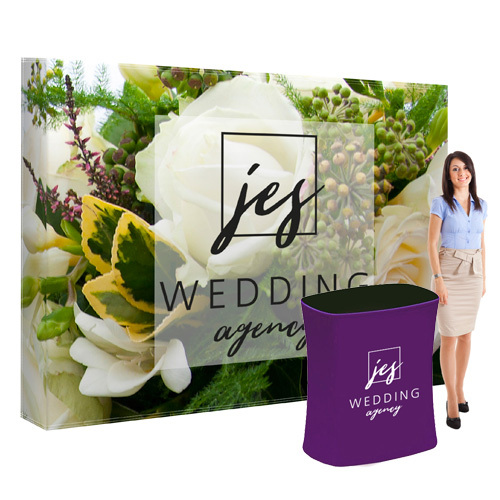 A square counter is the perfect addition to your stand at an event. The counter will be center, where you can build anything around. It will provide as the central point, where you communicate your message with your audience. Do the Exhibition counter come with a matching case or bag? Prepare your files using CMYK as the color mode, not RGB. Use colormode FOGRA39 (ISO Coated v2) for coated papertypes and colormode FOGRA47 (PSO Uncoated ISO12647) for uncoated papertypes. 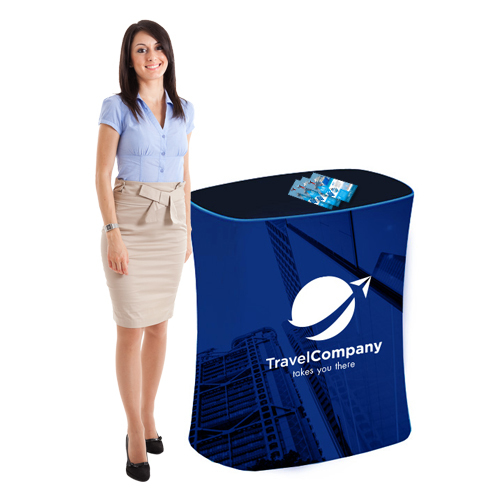 Exhibition counter are expandable and easy to set up displays mostly used at business events and fairs. The displays are available in various types and sizes. For the delivery of your Exhibition counter we use multiple carriers. Because of the highest reliability, in most cases we use: UPS and DPD.